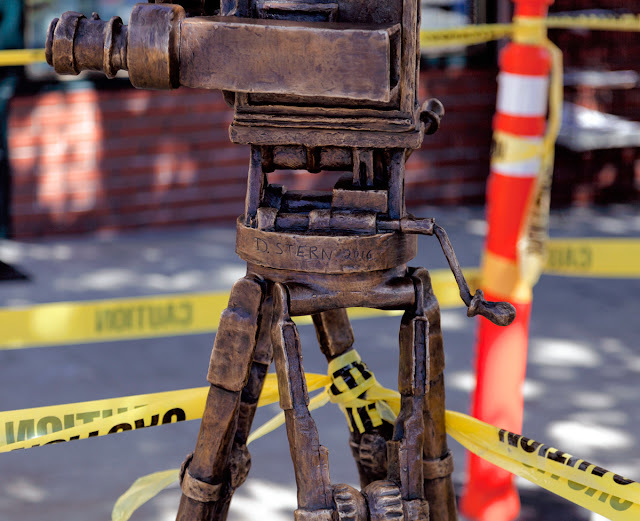 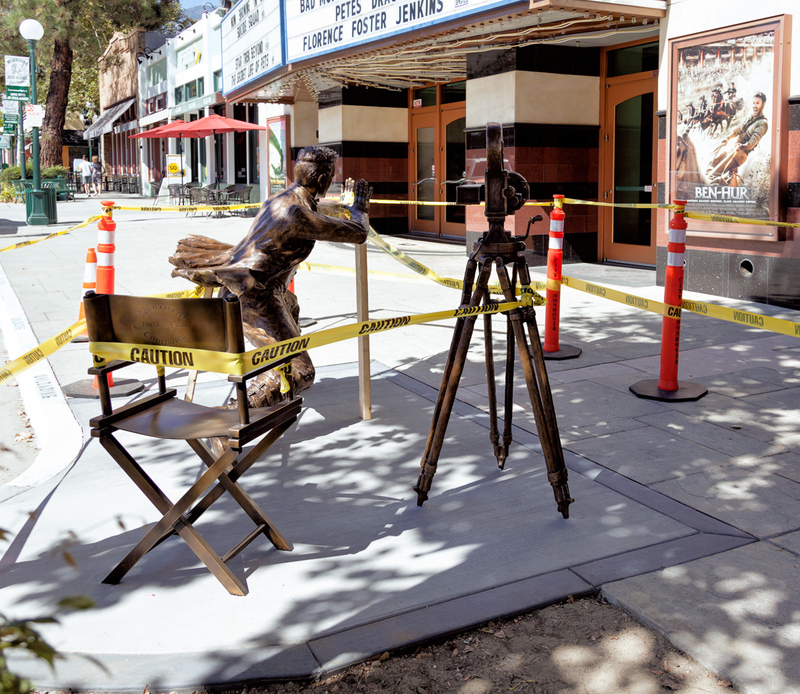 The movie-themed art honors the history of the film industry in Monrovia. 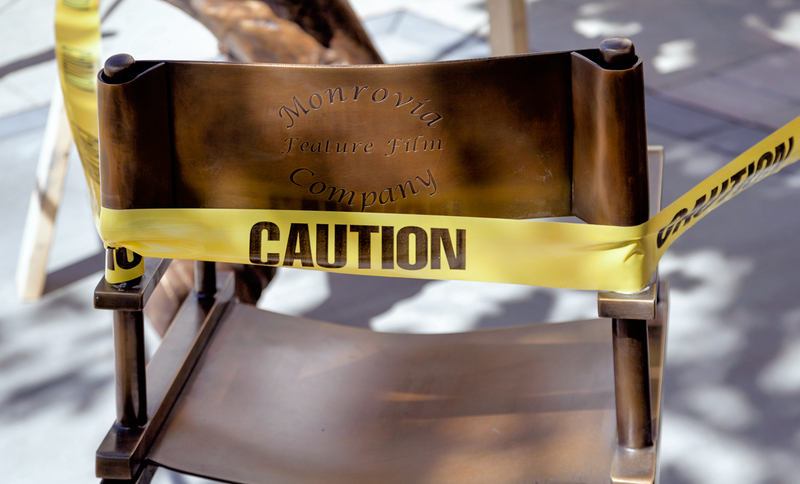 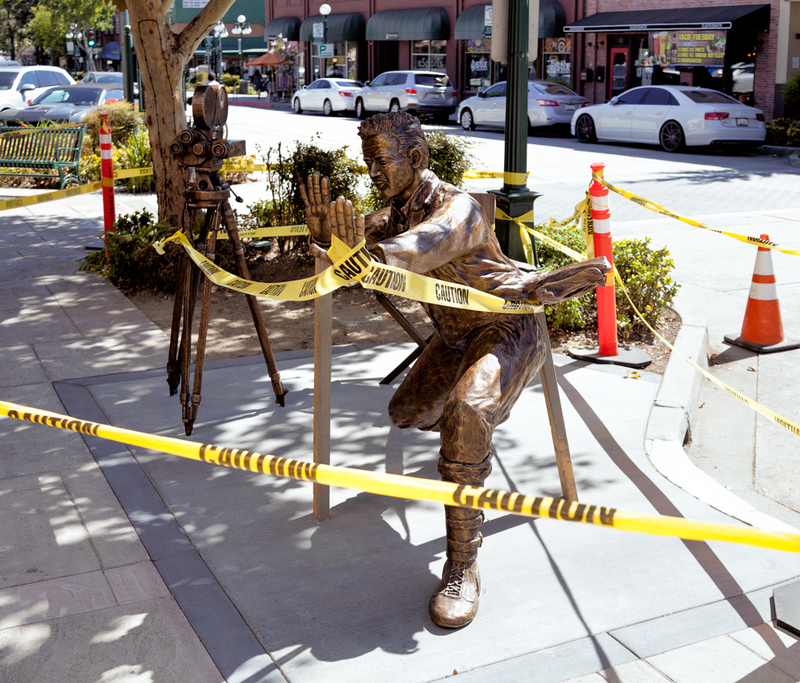 Once the caution tape comes down, you'll be able to sit in the director's chair for photo ops. The installation is located, appropriately enough, right in front of the Krikorian Theatre at 410 S. Myrtle Avenue in Old Town Monrovia.